Some people choose to spend their retirement resting up. Steve Chard, however, prefers to spend part of his on an 18-month kayaking journey. A Briton is trekking an unusual route this side of the ocean to celebrate his retirement. Some people choose to spend their retirement resting up. 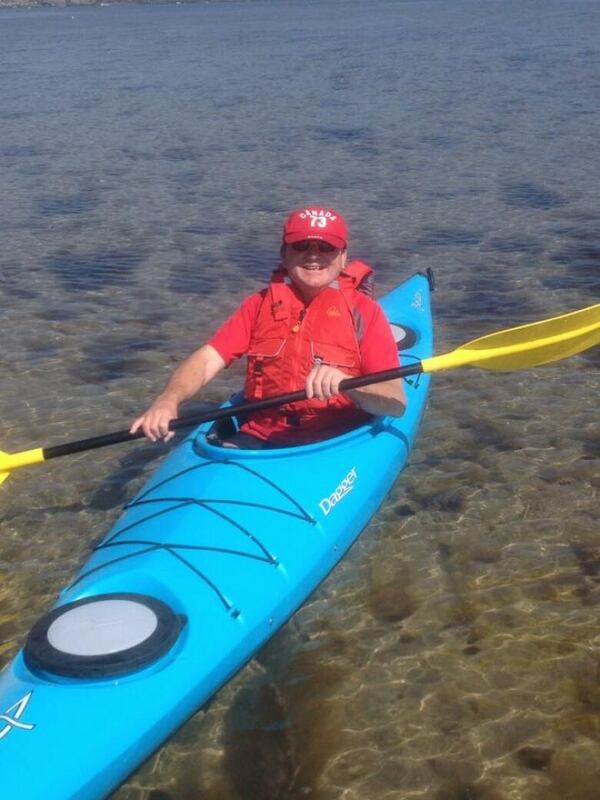 Steve Chard will spend part of his on an 18-month kayaking journey. 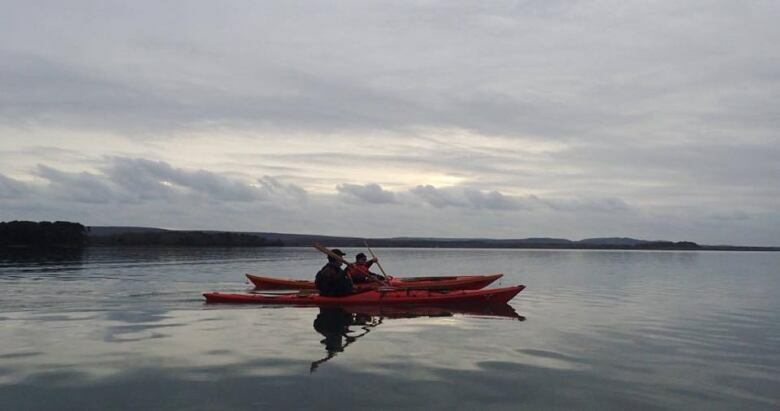 He set out from Halifax in his kayak in June. "This is the crazy bit — I haven't planned anything," the 60-year-old told CBC's Shift. "I come ashore every night. I see a row of cottages, and I tap a few doors and I say, 'Please can I camp on your lawn?'" Chard, a Royal Navy veteran and retired health-care worker who lives in Piddletrenthide, a village in England, is taking his own spin on what's known as the "great loop." "Most great loopers do it in a trawler yacht, not a kayak," he said. "They start of from Stuart, Florida, go up the east coast as far as New York and then take the Hudson River to join the Great Lakes around Chicago and back down the Mississippi and then back along the Gulf [of Mexico] into coastal waterway, the coast of Alabama, back to Fort Myers and through the Okeechobee Waterway back to Stuart." But Chard has started in Nova Scotia, where his brother lives. From there, he's travelling up the Gaspé, along the St. Lawrence River and into the Great Lakes. After he gets to New York, he'll add the New England states, finishing in Maine. He'll tie off the loop by going up the Bay of Fundy and across to Nova Scotia. His journey isn't just for fun, however. Chard is paddling for nine charities. He's raising money for HMCS Sackville and the Kidney Foundation of Canada. He's also raising money for three U.S. charities, including Disabled American Veterans, the American Kidney Fund, and the U.S. Navy Submarine Force Library and Museum in Groton, Connecticut, along with four British charities. Chard is paddling solo and carries everything he needs for the trip with him in his 17-foot expedition sea kayak, including dehydrated ration packs in case of a nasty storm, his tent, food, and cooking supplies. 'It was getting as many miles on the water in the week as I could," he said. He also practised yoga and Pilates to help him prepare. Even though he's travelling alone, he's made friends through social media and some of them have joined him on the water. 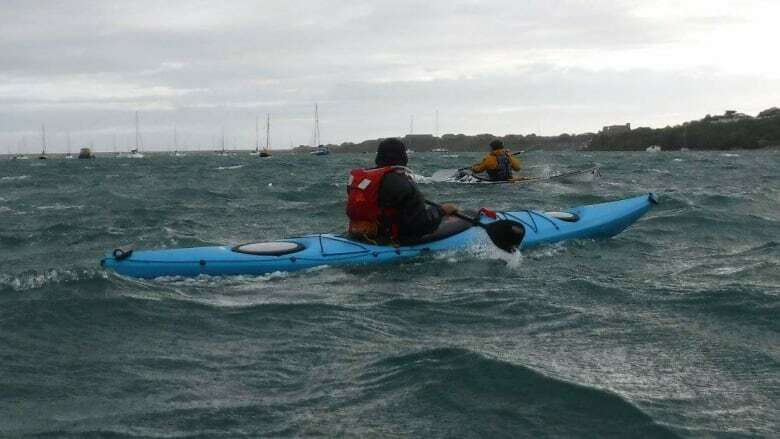 "With the joys of social media, I've made so many Facebook friends with kayak clubs all around the route and people are coming out to paddle with me," he said. So far, Chard has completed 1,000 kilometres of his 10,000-km journey. He said he's hoping to finish his adventure by Aug. 31, 2019.